When you are done learning, you are done as a coach. It's that simple. Good coaches are open to learn anything from anybody. From other coaches (good or bad), players, parents, teachers ... you know where I'm going. If you are competitive, then you will always have your ears and eyes open for as much information as you can gather. This weekend, I am attending the annual workshop the Ontario Soccer Association holds for its Learning Facilitators. We review new techniques for teaching, share ideas and get new information to pass on to coaches. Why involve yourself in formal coaching education? To realize that you do have a lot to learn, like all coaches. Most courses also have a side emphasis on the ethics of coaching, knowledge of the working body and suggestions for general operation of a team. It's simple. If Sir Alex Ferguson and Roberto Mancini can go listen to another coach speak and take notes ... so can you. I've had coaches tell me straight to my face "I don't need those courses, it's not that hard." Oh, OK.
Any experienced coach will tell you that courses are informative, social and very enjoyable. I've made lifelong friends and am part of a great support network as a direct result of my education. Your education should not only involve formal courses. You can also go observe demonstration sessions, sessions being run by an exemplary coach or even personal reading. You also need to choose educational avenues that match the team you are currently coaching. This doesn't include the number of demonstration sessions and speakers I've seen as well as how much I've read on my own. It's seems that the more you learn you realize you have more to learn. That's a good thing. 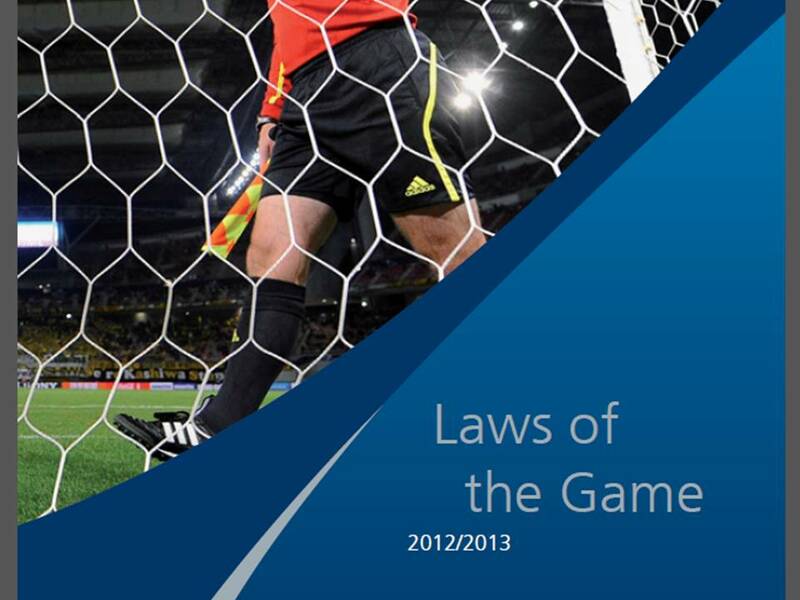 How important are the Laws of the Game during your session? Never give up a chance to deepen your players' knowledge of the Laws of the Game. First of all, as a coach, you should have a VERY strong understanding of the Laws of the Game. When running a training session, you always have to remember that enforcing the Laws of the Game when possible, creates less game-time confusion for your players and puts everybody on the same page. Very few players under 15 years old know the rules are called the Laws of the Game, or that there are 17 Laws. How can we inject coaching points involving the Laws of the Game to help our players? Let's go over the 17 laws, one at a time. You can quickly educate your players on identifying safety hazards and situations that officials need to rectify (hole in the net, missing flag, etc). Teach your players the language of soccer by helping them learn the names of the markings ie: penalty area, goal are, corner arc, touch line, goal line, etc. Your players should know the size of ball they are playing with and a quick check to see if it is properly inflated. They should also know how to identify a ball that has defects or if it is losing its integrity. During training encourage your players to be in full equipment with shirts tucked in according to the rules. Make sure your GKs in small sided games are distinguished in their colour compared to the players. Make sure they understand that they need to remember all equipment and uniforms because some leagues demand that all colours, including socks, match on a team. Your players need to know what the referee will and will not call or govern. For example, a player should know to tell the referee about a large hole in the goal, and not their coach. Many young players begin their own training as a referee and begin to appreciate the referee's duties even more. Players should know what they can and should expect from the Assistant Referees. During Small Sided Games you can help young players with the concept that their is no score clock and the referee is the official timekeeper. Rather than play up to a score you play by time. You can also use situations to help them gain an appreciation for what might cause added time, if it is applicable to their level of play. Players should know how long their games are at their current age level or tournament. This is where you can do the most integration of the Laws and your sessions. Laws 8-17 are very easy to apply every session. Adhering to the rules of each restart avoids unnecessary intervention by coaches and referees during a match. Proper throw-ins, legal kick-offs, distance of defenders on restarts and knowing drop-balls are all examples. During training, enforce the law that dictates the ball is out of play when the whole of the ball crosses over the touch or goal lines (on the ground or in the air) or when the referee has signaled a stop by way of their whistle. They also need to know that a ball that hits a referee, assistant, corner flag, goal post or cross bar and stays on the field is still in play. If you are at a game and notice a tree growing over a part of the field, or a goal that has extra components to it (football field goal poles), allow one of your players to inquire with the referee the ruling when that extra feature comes in contact with the ball and to explain it to teammates. The rule is simple to understand. But if your players start to argue during a small sided game regarding the validity of the goal, let them present their ideas and only interfere if they ask you for interpretation. During small sided games, you can adjust your field so it is big enough to bring off side into play. Ensure you have an extra coach on each side to act as assistants and enforce the rule. But you have to offer an explanation if required if you feel the player does not understand why they are offside. Offside is a difficult rule to fully grasp. Bringing the rule into effect at training is necessary as you cannot explain it during a game. Before coaching offside, ensure your understanding of the law is clear. Another easy Law to integrate into training. During small sided games, ensure to call all fouls and insist that the free kicks are executed within the Laws. During small sided games call direct and indirect free kicks and review their execution. The players should also get a feel for which fouls result in an indirect and direct free kicks. Ensure your players are aware of the rules and procedures of penalty kicks and the organization around them. They should also know who can play the ball when it rebounds off the post, cross bar or goalkeeper. You should also review the procedure of penalty kicks to settle a tie in a tournament or cup match. You don not want to be teaching penalty kicks during a match. Save your players the embarrassment of a foul throw call and review this technique. If you have players who are capable of longer throws you should review some strategies for taking advantage of their skills. Review the rule surrounding what results in a goal kick and the organization of taking one. It also gives you the opportunity to coach your field players to organize themselves, whether attacking or defending goal kicks. 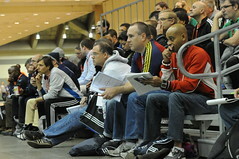 Review the rule surrounding what results in a corner kick and the organization of taking one. It also gives you the opportunity to coach your field players to organize themselves, whether attacking or defending corner kicks. I have, on occasion, had quizzes on the laws of the Game involving fun "what if" type questions. ie: "What is the call if a throw-in goes directly into your own net without another player touching the ball", "What is the call if a mom got off her lawn chair and stopped a clear goal from crossing the goal line?" Don't ignore the rules during practice. It is your only chance to allow for proper review of the Laws. Nothing looks worse than a referee having to help prganize young players during a restart or free kick. As an ending note, please acknowledge referees who help young players understand the Laws of the Game by explaining news calls to them during a match.